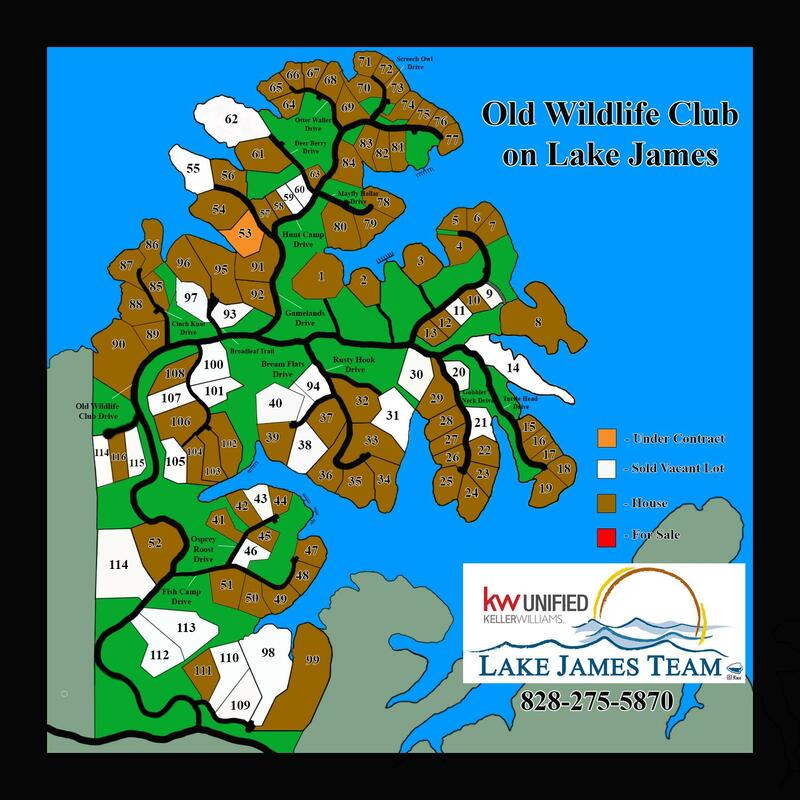 Nestled against the expansive Lake James State Park and situated across the lake from its sister community, Old Wildlife Club, 1780 offers homesites ranging from just under 1 acre to nearly 8 acres. Interior homesites come with private boat slips in the community docks. All owners are members of Camp Lake James. 1780 was thoughtfully platted out according to the topography. Each lot was designed to have one or more quality building sites. Want to build a small private cabin in the woods? 1780 is the perfect community with no minimum square foot requirements. However, there is a maximum, no homes over 6000 square feet heated. Call for more information about 1780. We would love to answer your questions. $3900 for a waterfront property. $4300 for an interior property. The Arbor is an Oscar Vasquez community that is located on the southwest side of the lake, near the city of Marion. This gated community currently has over 300 homesites. Homesites are approximately an acre. Some interior lots come with boat slips. The views from many of the homesites of Mt. Mitchell, Shortoff, and Dobson's Knob are amazing.. Most of the lots available are resales, but some developer owned lots remain. Bear Cliff is a beautiful gated community located on the northwest side of the lake, near the city of Marion. It currently has 75 homesites, 3 fishing ponds and some fantastic views. The homesites are approximately 1 acre in size. This community is convenient to Bear Creek Marina. 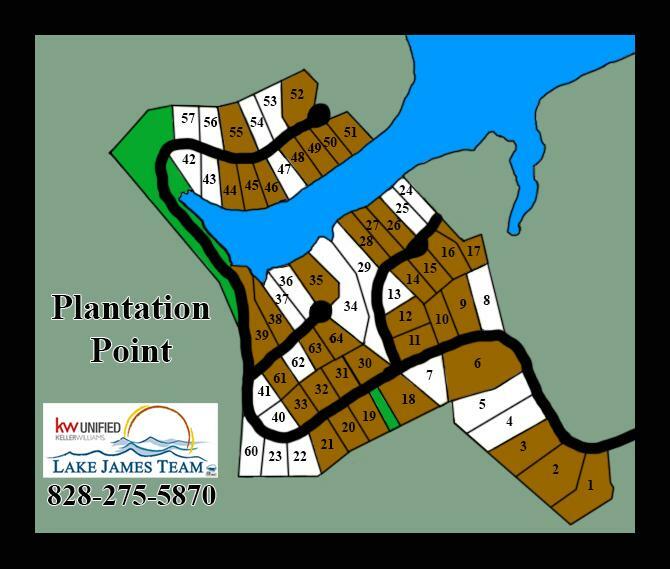 Most of the lots available are resales, although there are some developer owned interior lots. Black Forest offers 54 lots on 600 acres. Multiple dwellings are permitted on each lot. Residents benefit from a variety of recreational amenities, including miles of walking trails, a River Camp, and a Lake Camp. A full-time caretaker helps maintain the rustic beauty of the common areas. Black Forest is an Audubon International Gold Signature Program community. $4358 for a waterfront lot. 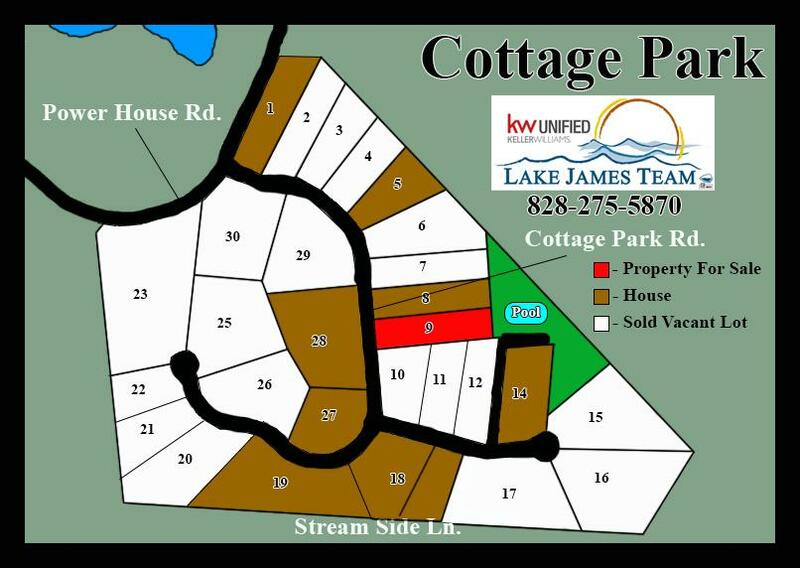 Cottage Park at Lake James, North Carolina is a beautiful community with 30 homesites. This luxurious, gated community will include large estate style lots and houses built by some of the area's leading custom home builders. Home architectural guidelines are in place to ensure that houses will reflect the overall theme of the neighborhood. A pool and clubhouse are planned for the near future. Owner financing is available. Dues are $975 a year as of 2018. 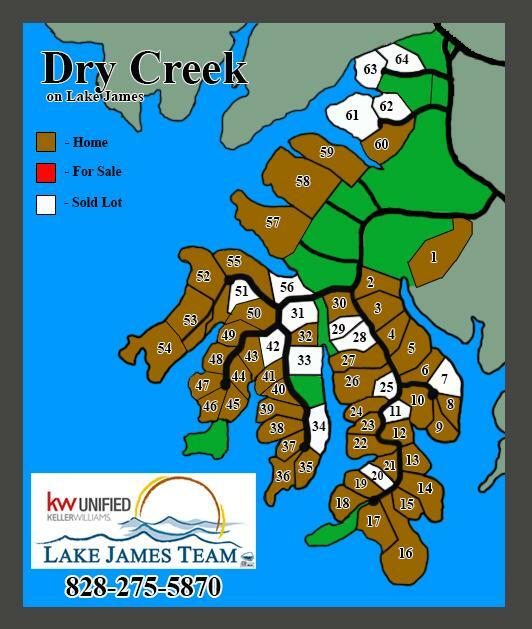 Dry Creek offers 64 lots on over 400 acres of land. 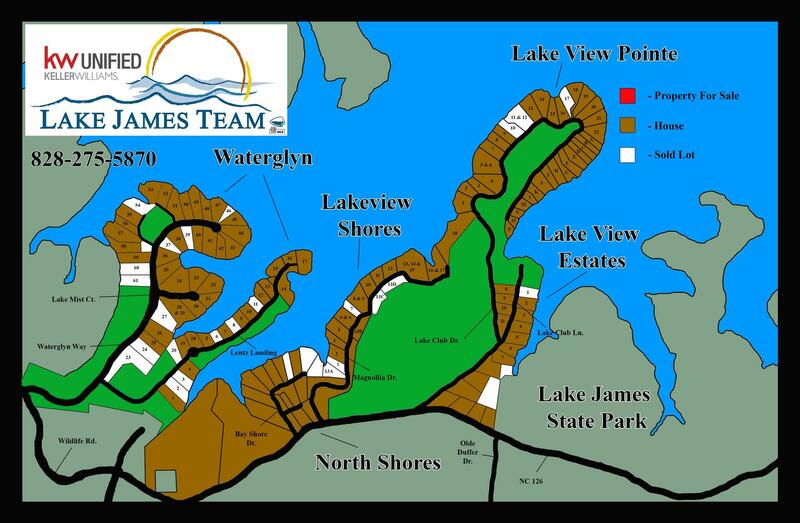 Here, residents, can enjoy a matchless setting with amazing long range waterviews of Lake James State Park Expansion. Lots range in size from 1 to 10 acres. The homes built in Dry Creek are built to blend in with the environment and are not to exceed 6000 square feet. Protective covenants are in place to ensure that Dry Creek maintains its rustic theme. $860 for a waterfront lot. 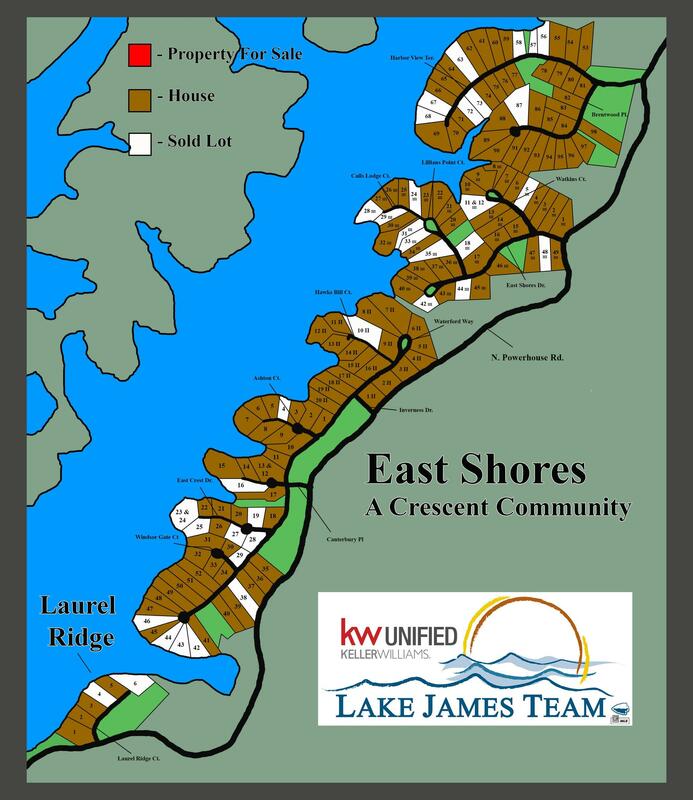 The East Shores community began in 1990 with a total of 167 homesites. East Shores is the closest lake front neighborhood to the city of Morganton. A pool and tennis court are available to residents for a yearly membership fee if desired. There is no architectural review board in East Shores. 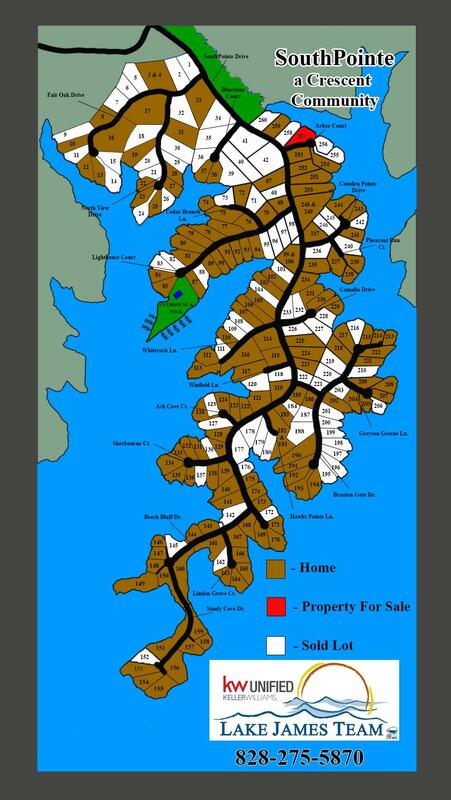 $592 for a waterfront lot. $1258 for an interior lot with deeded boat slip. 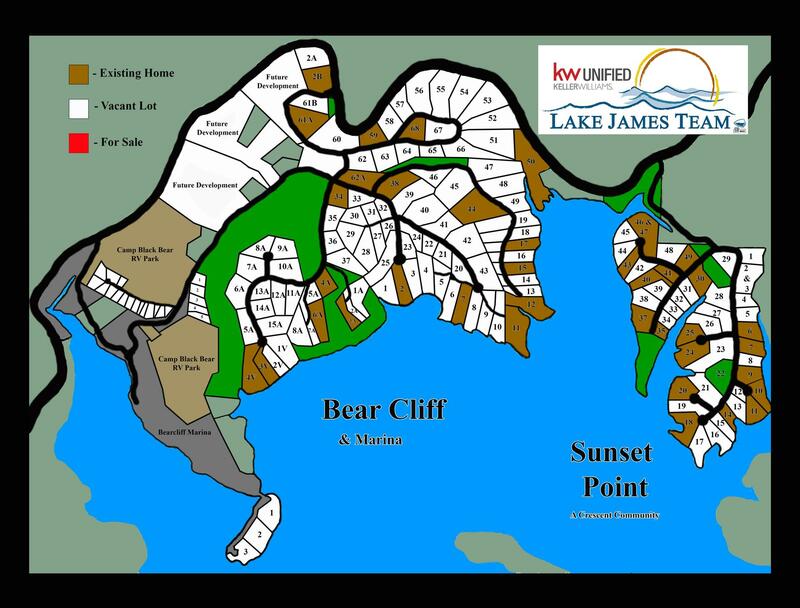 The newest and last large scale community on Lake James, offers a grand gated entrance, underground utilities, community boat slips, waterfront common area, over 50 acres of community preserve area, hiking and biking trails, and Fonta Flora Trail access. 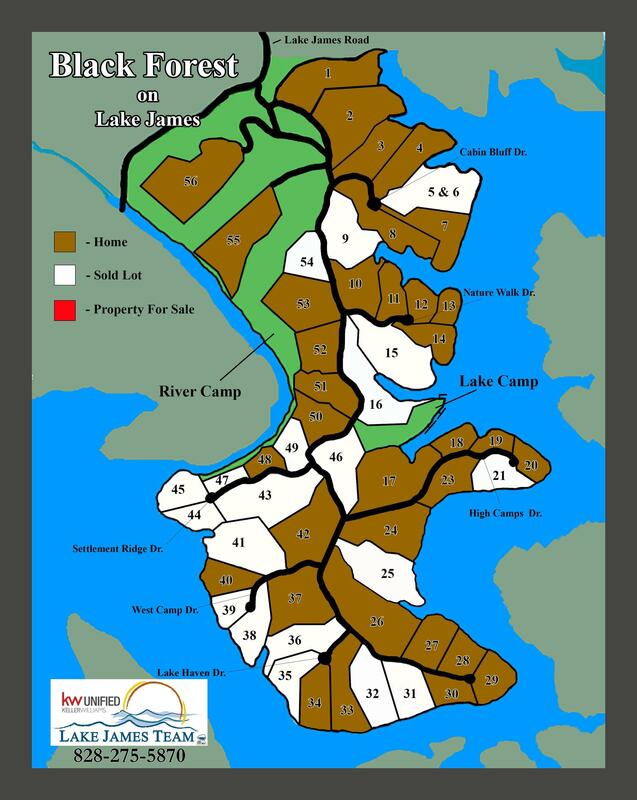 Every estate offers lake access community fire pits, with tracts up to 50 acres. This is a Premier Land Development Group Property. HOA are yet to be determined. One of Lake James oldest and most esteemed communities. Small private and gated, this get-away community boasts some of the largest views from perched lots found on Lake James. Look directly into the Linville Gorge and see from Mitchell to Grandfather from the main-channel, waterfront locations. 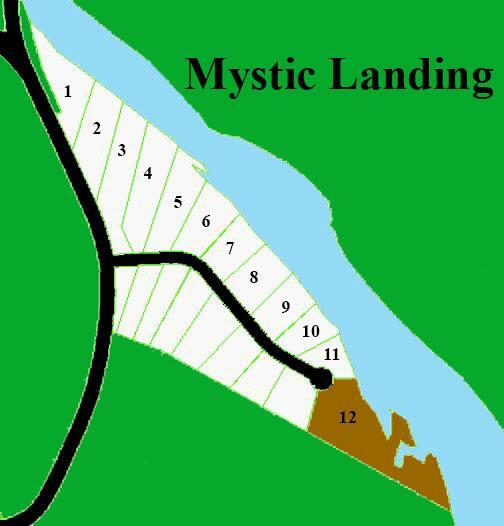 According to the deeds, the lots do not have numbers assigned to them. This is a gated community and gate code changes every month. Please call in advance to enable us to track down the current code. Gate code must also be used when leaving the community, so do not follow another car in! Quaint small community created in the early 1990's. Excellent views from most sites, located just across the entrance from the Marion Lake Golf Club. It is only a short drive to the town of Nebo and Marion and easily accessable to I-40. The perfect mix of home styles for your retirement retreat, weekend home, or full time castle. Wide roads for walking and active neighbors can be found here along with community docks for interior lot owners. 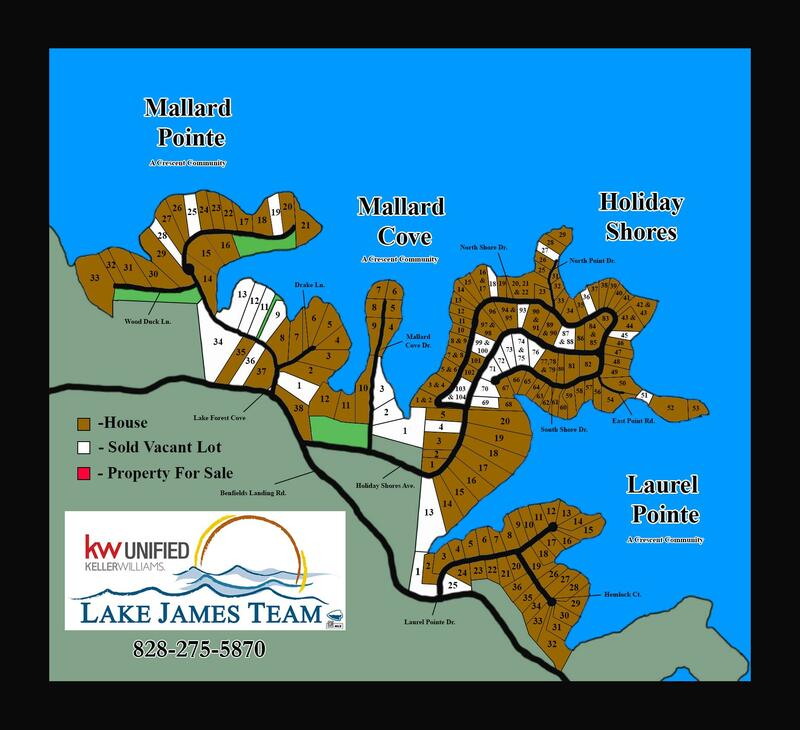 Mallard Cove is a small gated waterfront community located on the south side of Lake James across from the long arm of the Patty's Creek State Park on the Burke County side of Lake James. Come enjoy all that Lake James has to offer! HOA Dues: $300 a year. A beautiful and quiet neighborhood that sits across from the Lake James State Park, this Crescent Community has deep water, incredible views and a quiet cove. Perfect for boating, swimming or just relaxing with your favorite book. HOA Dues: $375 a year for waterfront lots. $735 a year for interior lot. One of the best views from a golf course you’ll ever see. Waterfront homes with a few interiors mixed in surround the club, which also includes a waterfront gathering area and boatslip complex. The Loyal Order of Moose is a private organization. All activities and events referred to on this Web site and in the Moose newsletters published herein are available to members in good standing and their qualified guests only. This Web site is for informational purposes with proprietary information intended for members only. General information is available to the public at large, but should not be construed to be a solicitation for membership. This Web site is an initiative of the Moose Lodge 1705 of Marion, NC, and is not sanctioned by the Loyal Order of Moose, Moose International or any subsidiary thereof. All logos, trademarks and service marks pertaining to the Loyal Order of Moose and/or its programs or degrees are copyrighted © by Moose International, Inc., Mooseheart, Illinois. Application fee and yearly dues are due at the time of application. HOA Dues: $200 a year. Not all lots were numbered according to deeds. One of the two most recent Crescent Communities developments. Large lots with rustic style homes. Beautiful North Western mountain views of miles of Lake James main channel water. Wooden bridge, hiking trials, and community meadows are on site. Camp Lake James membership is included. $4725 for interior lot - includes deeded boat slip. One of Lake James's newest communities. 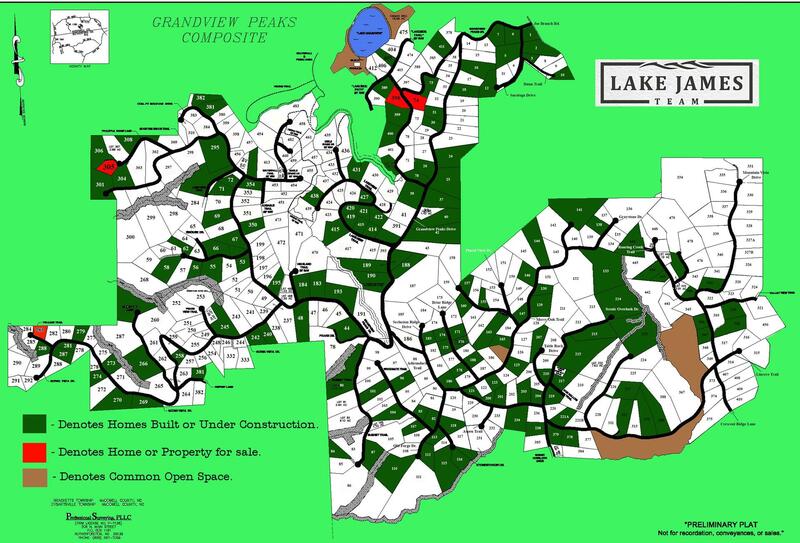 This 220 acre tract of land, formerly known as Grey Ridge, was aquired from Crescent Communities by a private developer. 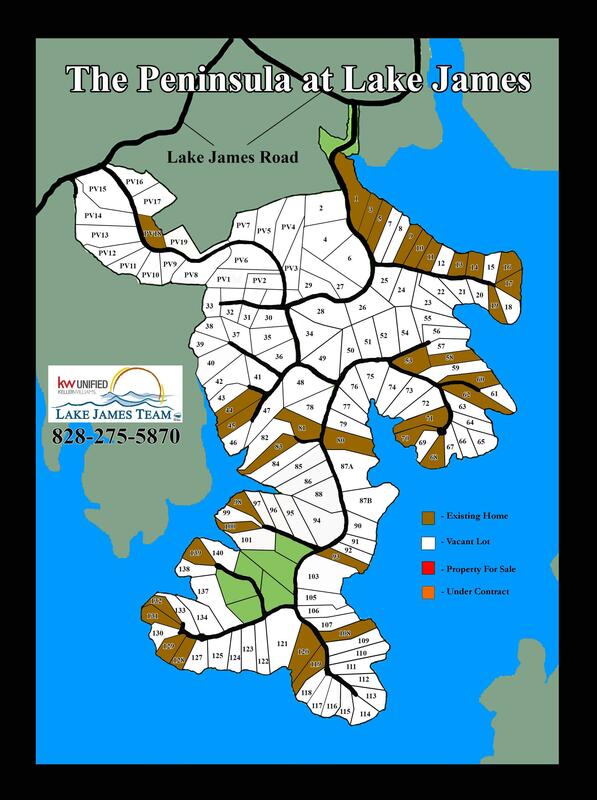 This tract boasts over 200 lots, offering some of the most scenic views possible on Lake James. The Peninsula at Lake James has a community pool and pool house, as well as a state of the art gate with beautiful stone pillars. The Peninsula at Lake James is one only a very few communities to allow owners to put their home in a short-term rental program. 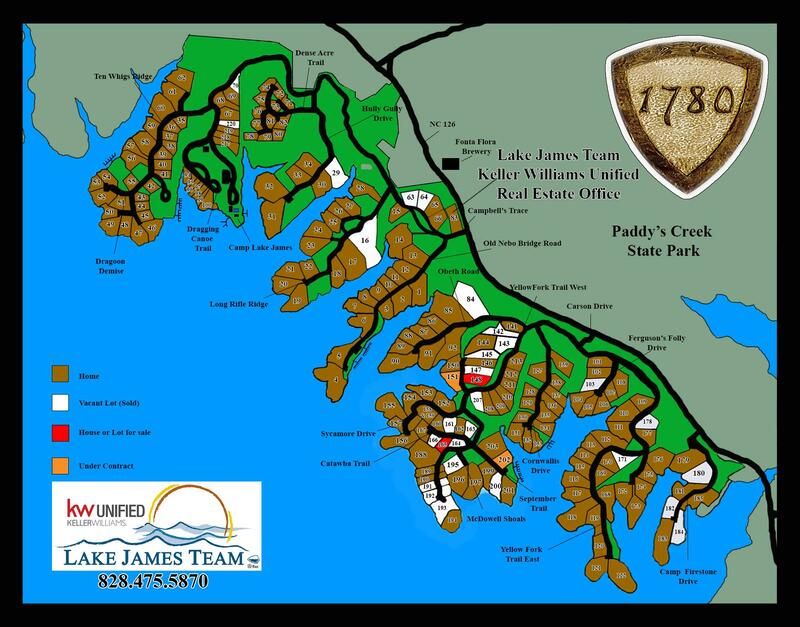 To get your tour of The Peninsula at Lake James call or email us. Dues in this community are $650 year as of 2017. A 500+ acre gated community. This master planned community was designed with preservation in mind. Once completed, it will have over 140 home sites ranging from one to five acres. Over 125 acres of carefully planned green and open space are designed to protect all streams and waterways. Property Owners Dues Per Year 2017: $360 per lot. 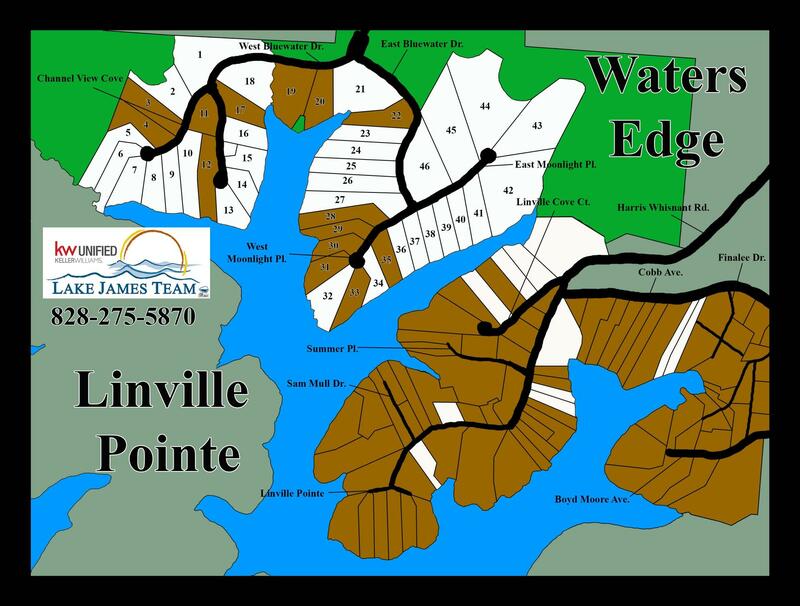 One of the newest communities on Lake James, these dockable waterfront lots provide long range water views and super flat walks to the lake. 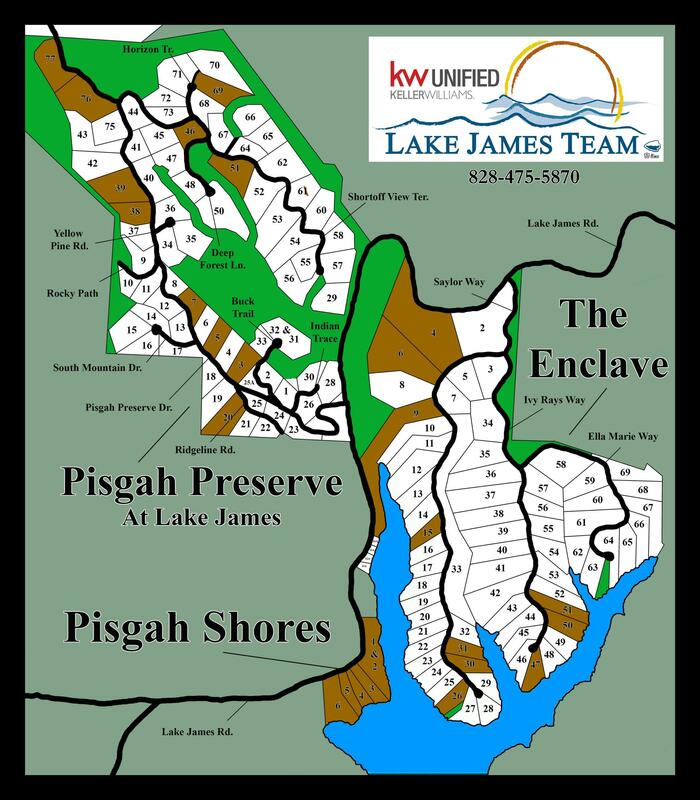 Pisgah Shores at Lake James offer convenient access to Lake James Road and give each owner the benefit of a private driveway and the ability to put in a private gate. 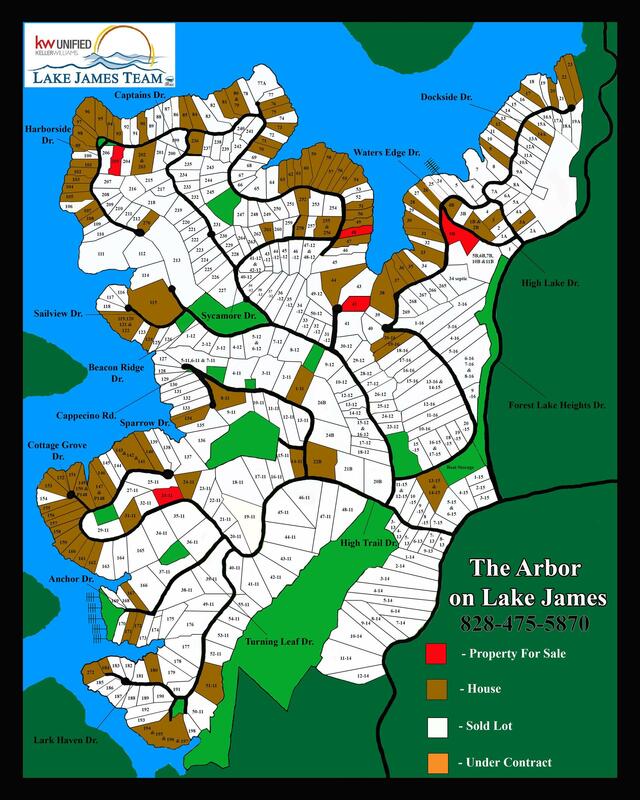 Pisgah Shores at Lake James has minimal building restrictions and no HOA dues. 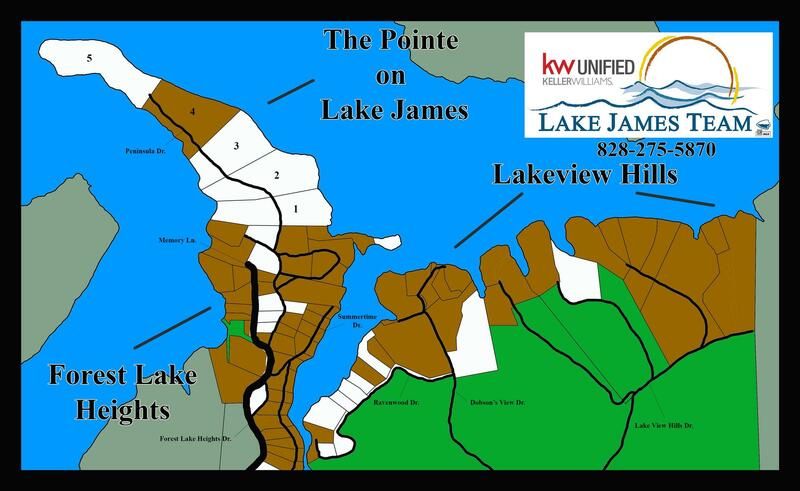 These lots are arguably the flattest topography ever offered on Lake James. This quaint 60 lot subdivision is located on the southwest side of Lake James in McDowell County. Just minutes from the town of Marion. HOA Dues: $415 a year. This is a very small gated subdivision with only 5 lots. 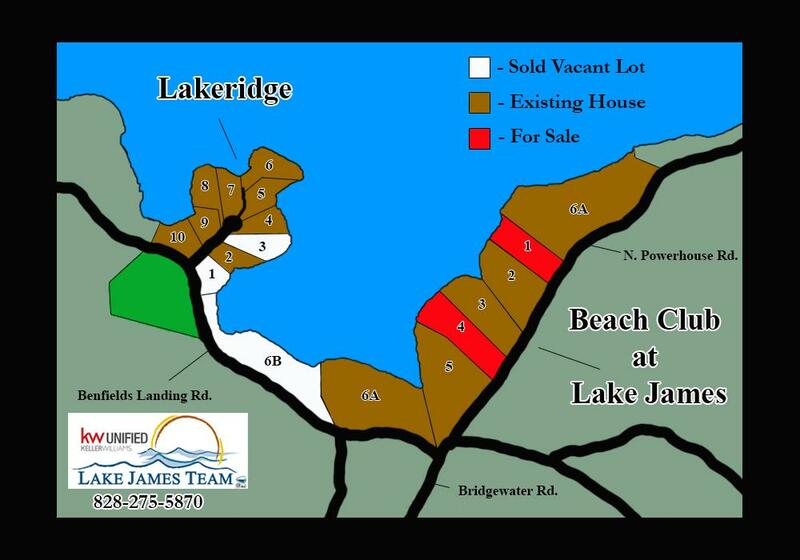 These 5 lots may have the best views an owner can have on Lake James. Each lot can have its own private boat dock. SouthPointe offers over 250 home sites which range in size from .5 to 2.8 acres. It is home to many full and part-time residents. The community is covenant restricted, with a minimum square footage. Most interior lots come with boat slips. Residents enjoy a community pool and clubhouse. SouthPointe is located on the northeast side of Lake James in Burke County, approximately 8 miles from Morganton. $749 for a waterfront lot. Located on the Northwest side of the lake, this gated community boasts of Sunset views (hence the name) and majestic homes. There’s also a huge protected cove on the west side that is known for some of the best floating and boating.  Yearly HOA Dues (2018): $1125 yearly HOA fee, $2000 association initiation fee, $75 transfer fee. A Crescent Communities classic. This well-kept community is tucked in on the south side with great views, large water, and manageable homesites.  HOA is an optional $140 a year. A beautiful gated community located on the east side of Lake James, very convenient to Morganton. 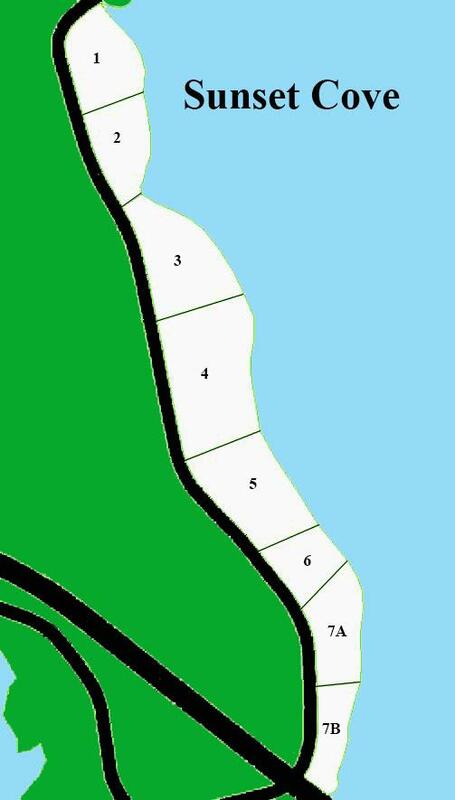 This 46 lot subdivision boasts access to the Fonta Flora mountain bike trail and a community beach. Yearly Home Owner's dues are $500 a year.